You must make reservations at least 5 minutes in advance of the time at Biba Restaurant. Public parking garage accepting only credit cards available just a half block away at 28th and N St. Valet parking also available for lunch and dinner. Bus stops on Capitol Avenue in either direction just a few yards away. Located in the historic Old Tavern Building, just minutes from the State Capitol, Biba Caggiano, celebrated chef, cookbook author, and TV personality, brings a bit of Italy to Sacramento. 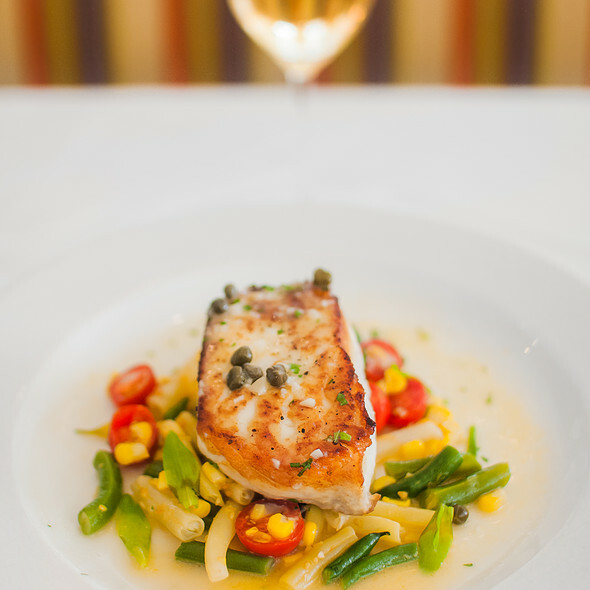 Savor the flavors of Biba's award winning authentic Italian cuisine in a friendly but refined ambiance, with attentive service that will make you feel instantly welcome. Enjoy spuntini with a cocktail or glass of wine in the lounge area, kick back and listen to piano music, or order a full meal at the bar or in the dining room. Only the finest and freshest ingredients are used and the food is truly Italian...house made lasagne Bolognese on Thursday and Friday and a different stuffed pasta dish every day. Osso bucco alla Milanese (veal shanks) or stinco di agnello (lamb shanks) are just some of the entrees you may expect to find. California and Italian wines are available to complement the food. And don't skip the dessert. The Tiramisu is to die for! Sources for Biba's produce, meat, fish, and bread: Facciola Meat Co, Del Rio Botanicals, Watanabe Farms, Liberty Duck, Aloha Seafood, Calivirgin Olive Oil, Full Belly, Grateful Bread and Bella Bru Bakery We accept MasterCard, Visa, American Express and Diners Club 18% Gratuity added to parties of 8 or more • No separate checks As a courtesy to our guests, please refrain from using your cellular telephone in the restaurant * Consuming raw or undercooked meats, poultry, seafood, shellfish, or eggs may increase your risk of foodborne illness, especially if you have certain medical conditions. My husband and I enjoyed an early dinner on a Friday night before a show at the B Street Theater. We had reservations and were seated right on time, our server was warm and friendly yet professional; we were very impressed with her kind demeanor towards a very elderly patron who required a few menu modifications and extra time making choices. Our meal was delicious, beautifully plated and the portions were just the right size. This is a great, classic spot in Sacramento for a quality dining experience. Biba is one of our favorite restaurants. The staff and service is always wonderful and, of course, the food is outstanding. Very good food and service. Loved the breadsticks! Still, as always, one of Sacramento's best dining experiences. This time my dining companion was gluten-free, and I was pleased to find that they had a gluten-free pasta option to offer him. As an appetizer, I had the sautéed sweetbreads with pancetta, sunchokes, and a white wine reduction, which were delicious; however, this was served with a huge chunk of fried polenta, which I thought was very much a distraction. My dining guest had mozzarella with prosciutto di Parma (“parma di procuitto” on the web version of the menu), which were both very good, but also not a great combination. My entree was baked rigatoni with an octopus ragù, smoked mozzarella and Grana Padano; this turned out to be a dish that was extremely rich and again a rather unsuccessful combination of ingredients. 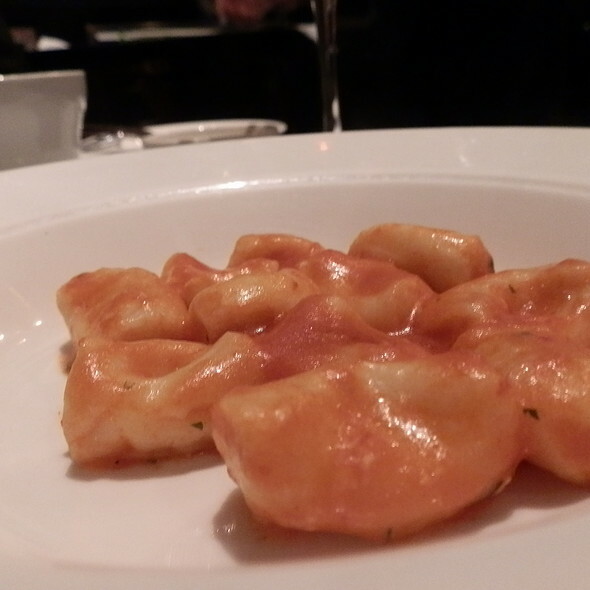 My guest's entree was the daily pasta, which was a very bland chicken ravioli, not up to the usual Biba standard. 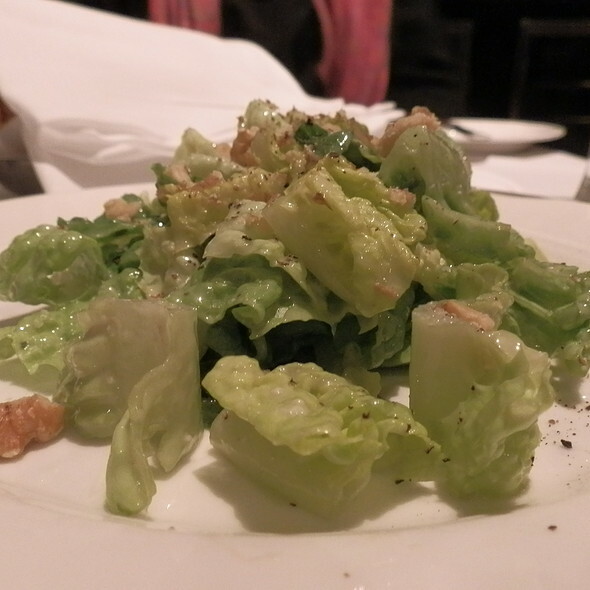 I have been to Biba’s restaurant many times, and only the last two visits have been disappointing. There seems to be a lack of harmony and attention to detail recently that I have not experienced before. Biba’s, for me, epitomized light, sophisticated northern Italian cooking and I wish it would return to its original excellence. Wonderful ambiance and service. The gnocchi were as light as you could imagine. The wine list is terrific. All was good. The noise level was very high but our waitress moved us to the entry lounge area, which was much more quiet. My customer was very disappointed that there was no lasagna available on Tuesday night. Lunch was delicious and our waitress was great! Our favorite restaurant in Sacramento!!! A very comfortable place to dine - the food and the service are always awesome! A treat! Biba's is always a great meal. When I was working in Sacramento years ago I used to go there for business lunch all the time. Biba would come out and walk around the dining room and talk to her patrons. I think she also had a lot to do with the quality control of the food. It was all delicious. Fast Forward 20 years and it is still good and the place looks the same as it did years ago. The food is still as good as I remember. I had Swordfish and it was seasoned to perfection. I could have eaten twice as much as was served as the portion was only about 5-6 ounces at most and it seemed spendy. The Tiramisu there has always been my benchmark and no one comes close. It is still the best. Our server, Jeannine, and her support staff were awesome. The food and service was amazing. I have not been to an establishment that provided the quality of service for some time and the flavors were well done and everyone was happy with their meal. I have been to Biba more than a few times. The most recent was dinner before a play. The waitress was accomodating about our time frame . I was disappoionted in the main course--we ordered mushroom ravioli, a beet salad, and a delicious cheese cake. The ravioli was a little too al dente, and the sauce was a very unappetizing color of beige--no other color. It tasted rather bland. Just not an adequate dish for Biba, I thought. You need to fix that. Love Biba's - Enjoyed the Filet Mignon Special and Hubby had the Scallops! Such a classy Restaurant. It was also nice to see June :0) Look forward to returning very soon! We always enjoy dinner and service. Very friendly and enjoy our dinner. We love Biba and her restaurant. It enhances the quality of life in Sacramento, but it would do that anywhere it was located. We're very well travelled and experienced diners, and this restaurant is a true gem. For the price, I feel the food was pretty standard. Not bad at all, but just not superb. Biba Restaurant never fails to please us. We have been coming here for 16 years. 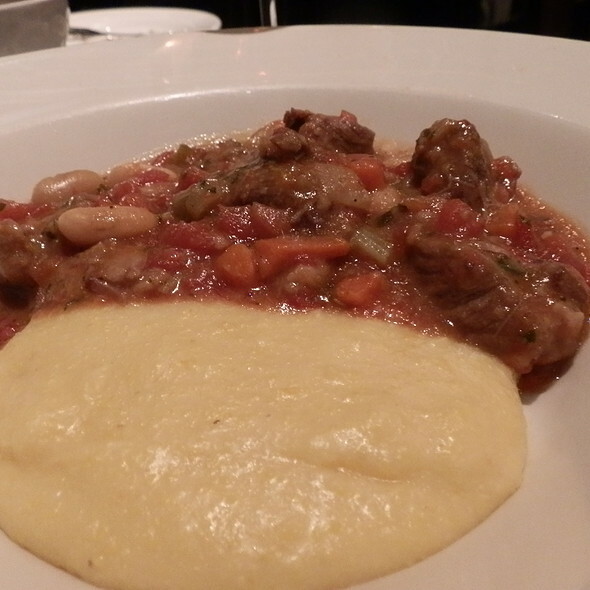 This time we ate Liver w/Onions over Polenta. UMMM! I never had such good Lw/O! For whatever reason this was our first time dining at Biba's and we will return! Both my wife and I had a pasta dish and both were excellent! My lasagna was probably the best lasagna that I have ever had the pleasure of eating! The service was excellent and the overall experience made both of us wonder why we had not dined there before! Biba’s is consistently excellent. Delicious food, friendly and attentive wait staff and we always run into friends, old and new. The food was just ok. The service was terrible. Not only was it terribly slow, they were just not friendly. Our waitress seemed annoyed to wait on us. My husband portion of pasta was minimal. My short rib was plentiful so I shared it with him. I don’t think I would recommend for these reasons. Haven’t been to this restaurant for years and it still does a great job of serving wonderful food. We received the best service I have every had at a Sacramento restaurant. Also, of course, the food was inventive and delicious. Was originally offered a table near the rear service station. This was a special occasion and we wanted something nice. I now know I can request a specific table when making a reservation, but can't do that on your site and will have to call in a reservation. Next we were offered a table next to the women with the obnoxious perfume odor. Lucky for us and Biba the prevailing breeze kept it away from us. I understand this was so bad two tables of people got up and left. Why Biba or manager did not ask/tell the offenders to leave I do not understand. note on the OpenTable reservation). Reliably excellent in every way. We arrived before they officially opened and they accommodated us. there were four of us. Everyone enjoyed the food, the waitress and the noise level was so easy to talk around. Each dish is unique. Their wine list is inclusive. We have been a regular customer and have never had a bad experience. As always, dinner and service was excellent. Our waitress went beyond great service. Always Great. Best Lasagna ever. Just wonderful. Our first time there. Lasagna was spectacular as advertised! We'll definitely return! We haven't been to Biba in quite some time and had forgotten how fabulous the whole experience is. Loved it all. 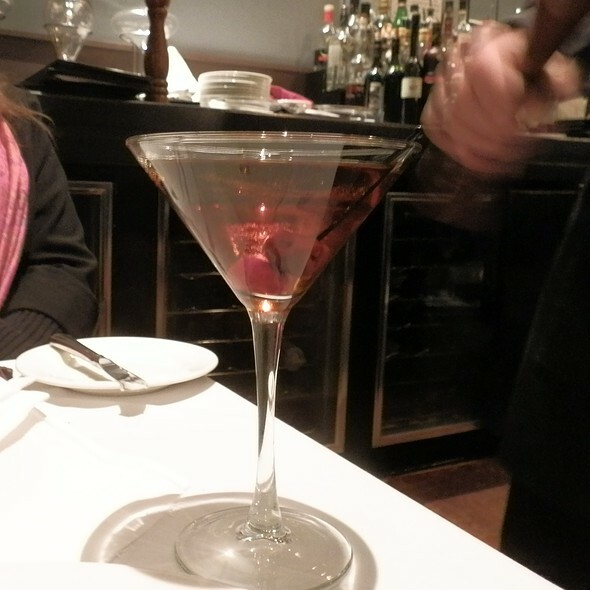 Biba is my go-to restaurant when I want to have a upscale but comfortable dining experience. The food, the service, the ambience were all excellent. Plus, they remembered it was our anniversary (without prompting) and surprised us with a little gift. What a lovely discovery! The building is gorgeous inside and out. The service, price and quality of food were all outstanding. My scallop risotto dish was delicious, as was my husband’s lasagna, and our Pinot noir was priced well and delicious as well! This is a classic gem - ambiance, menu, service and the divine food. Came to Sacramento for a 1 night stay and came for lunch both days - wish we were staying another night. On our first day we were served by Jorge (little Georgie) who was an amazing guide for our lunch. 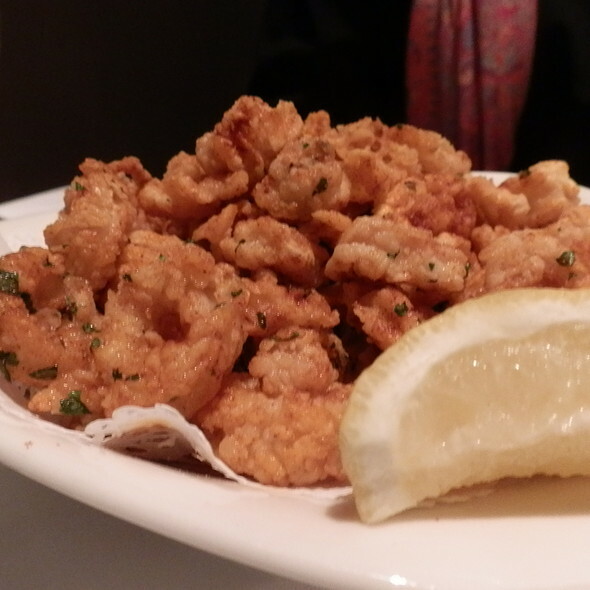 Started with a sharing the fried calamari which were small, delicate and fried very crispy without being burned. Shared the salad of Insalata di Porchetta - pork belly, apricots, charred shallots and crisp kale (not usually my favorite - but the baby kale was awesome). Being Thursday I opted for the Lasagna (only available on Thursday and Friday) and my wife had the gnocchi. 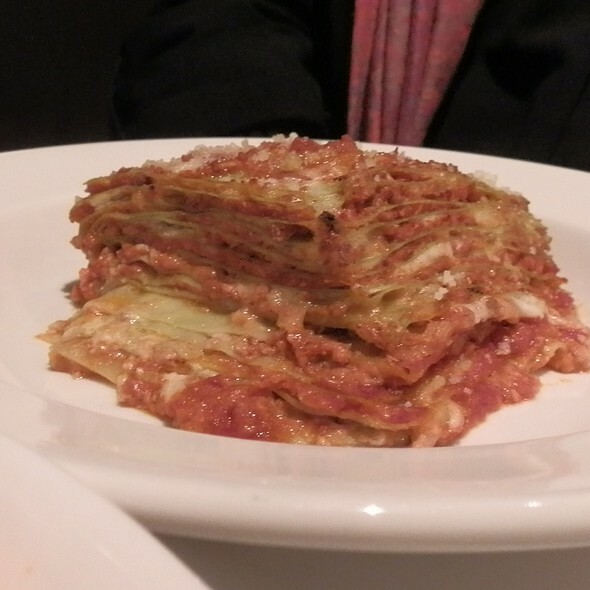 The next day she opted for the Lasagna and I went for the Tagliatelli with the veal cheek ragu !!!!! Gigi was our server on Friday and again helped make it a perfect visit - if you love Italian food they way it should be prepared (no Olive Garden is not ITALIAN) - you must visit Biba even if you have to drive an hour and one half, as we did.